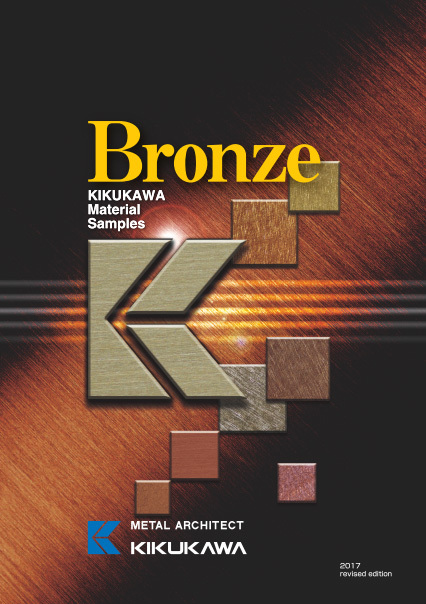 A collection of KIKUKAWA's various finish samples for stainless steel, bronze and steel. The lineup ranges from standard finishes to custom-made finishes. Please consult us for unlisted options or for more information. The collection is composed of finishes that are combinations of polish marks, emboss, paint finishes, clear coating and/or anodization. Special painted finishes are available for other metals. Materials featured are JIS A1100s (pure alluminium) and JIS A5110s (magnesium aluminium alloy, noted as bright aluminium). 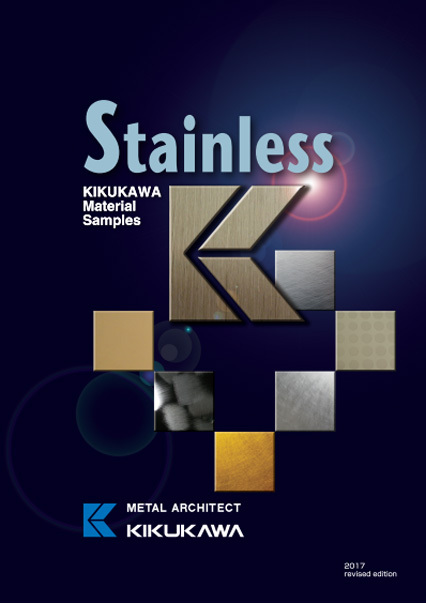 Finishes featured range from grind finishes to coloured stainless steel to KIKUKAWA's original Silky Blast Finish. Stainless steel maintains its original appearance over a long period of time. The main material is SUS304, however other JIS defined stainless steel may also be available upon request. The materials featured are copper, bronze and brass. Finishes featured range from those that enhance the material such HL (hairline) to the luxurious FURUMI (sulfurized) finishes. Finishes featured range from painted finishes to Zinc phosphate coatings. Custom made painted finishes or the painted finishes listed are also available in other materials. The materials featured are bronze, brass and aluminium. This finish recreates the Japanese handcraft finish for a classic, luxurious aesthetic. 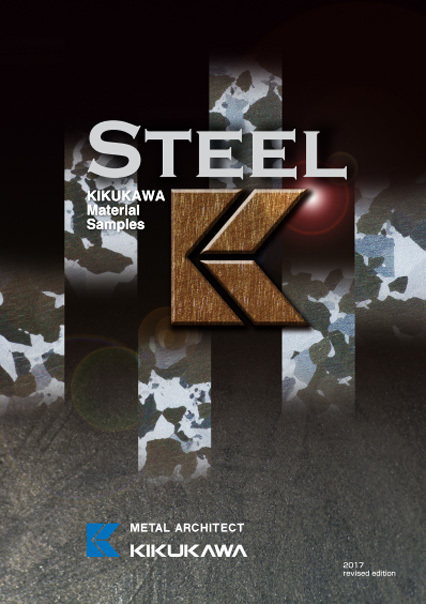 From the standard patterns to the Kikukawa originals, our selection features varying textures. Best suited for ornaments or for places requiring architectural accents. 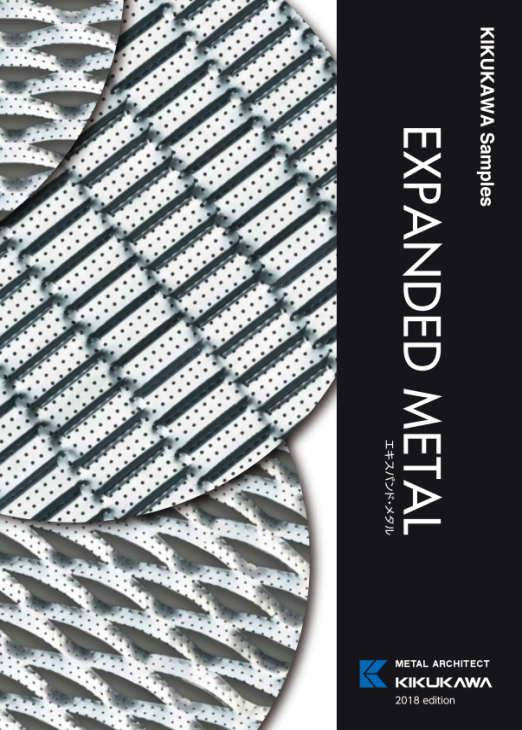 Kikukawa's aluminium expanded metal features two patterns, all having wider strand thickness and wider bonds than before. Each is offered with and without perforations. Those with perforations are named "Rattan" as a Kikukawa original. 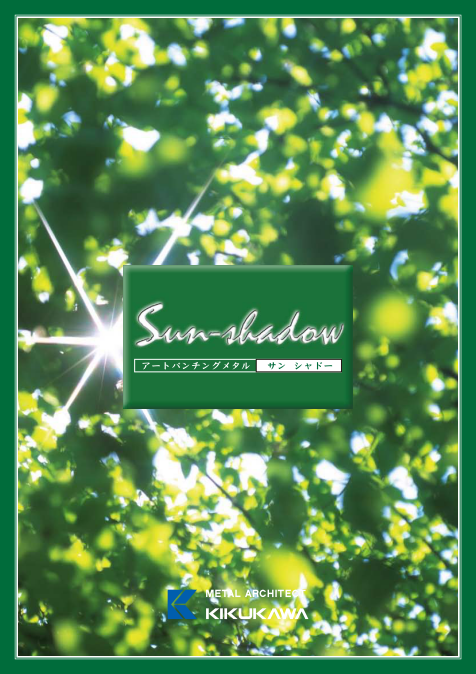 This is a green product that balances both functionality and design, for facades, louvers and walls. 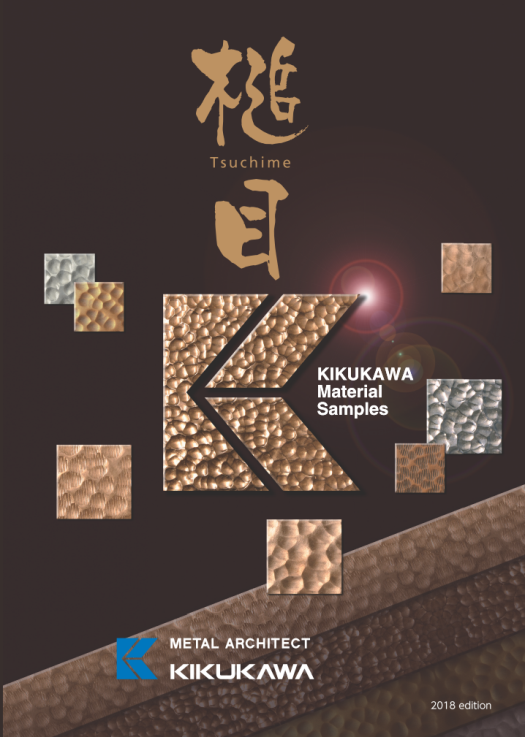 Download brochures on KIKUKAWA's original products, technology or green products. Click the button below to jump to the corresponding section. KIKUKAWA's perforated panels provide architectural lighting design by influencing light and space. Kikukawa's invisible access panel system blends seamlessly into a ceiling, with concealed hardware and frames. The surfaces are clean, flush and continuous. 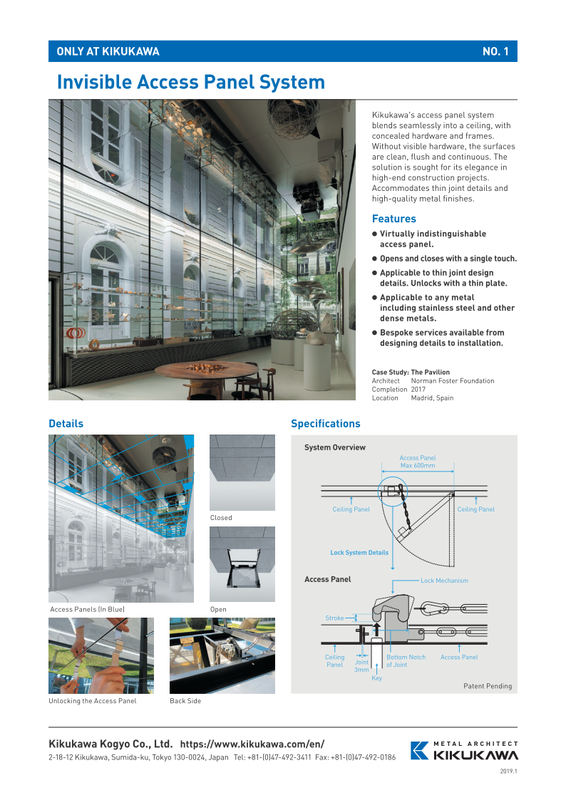 This elegant solution accommodates thin joint details and high-quality metal finishes thus is sought for high-end construction projects. 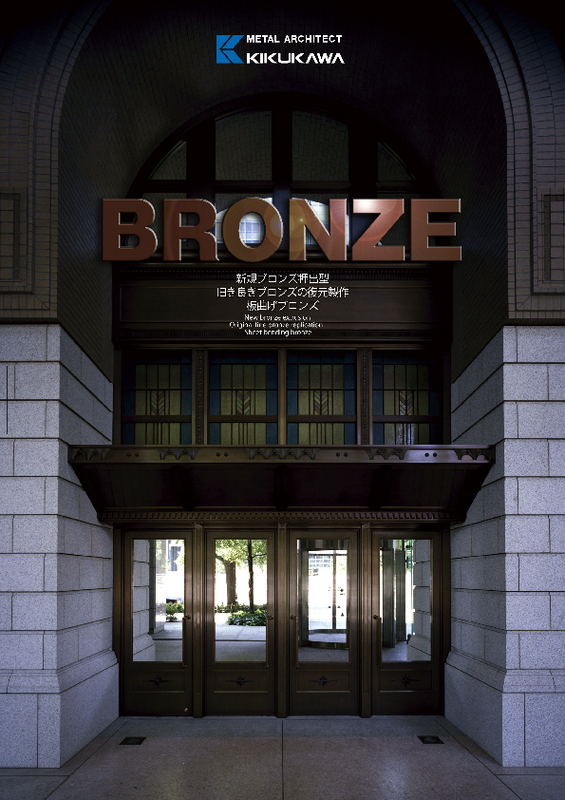 Highlights from KIKUKAWA's past bronze projects; including projects with extrusion dies, restoration works, bent metalwork as well as doors and grilles. 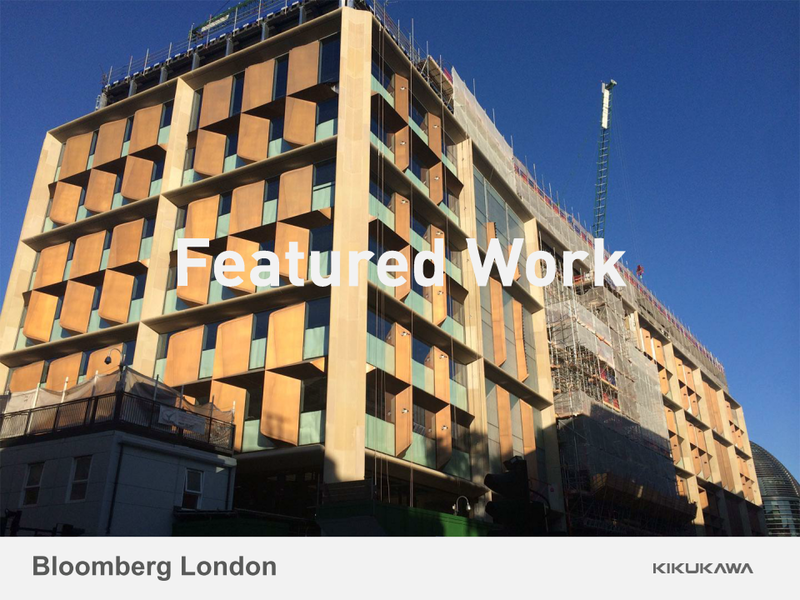 Introduces metal-crafting technology used in bronze projects, with a focus on those used to fabricate Bloomberg's new European Headquarters. 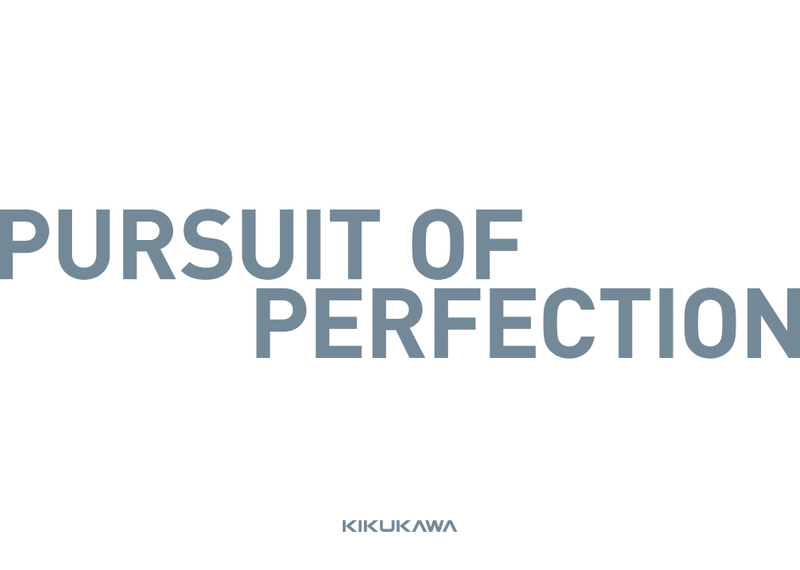 The 2015 edition of KIKUKAWA's season's greetings provides an introduction to KIKUKAWA's technology that turns unique designs into reality. Contents include extra-long stainless steel plates, curved plate punching, twisting, fiber laser welding, stainless steel structures and FURUMI (sulfurized) finishing. 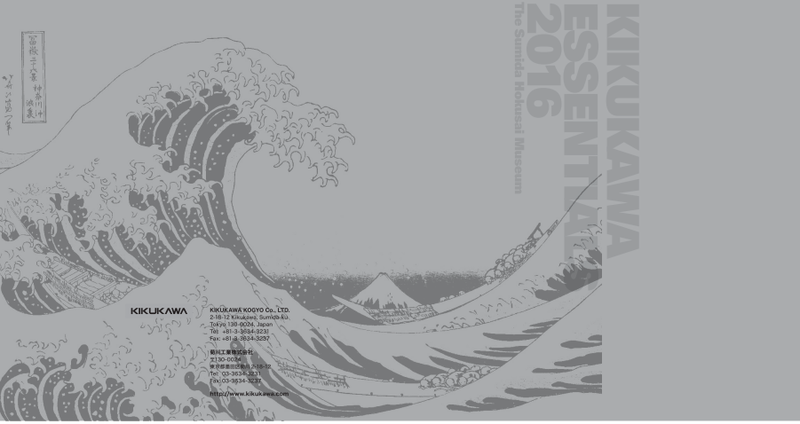 The 2016 edition of KIKUKAWA's season's greetings focuses on the Sumida Hokusai Museum. 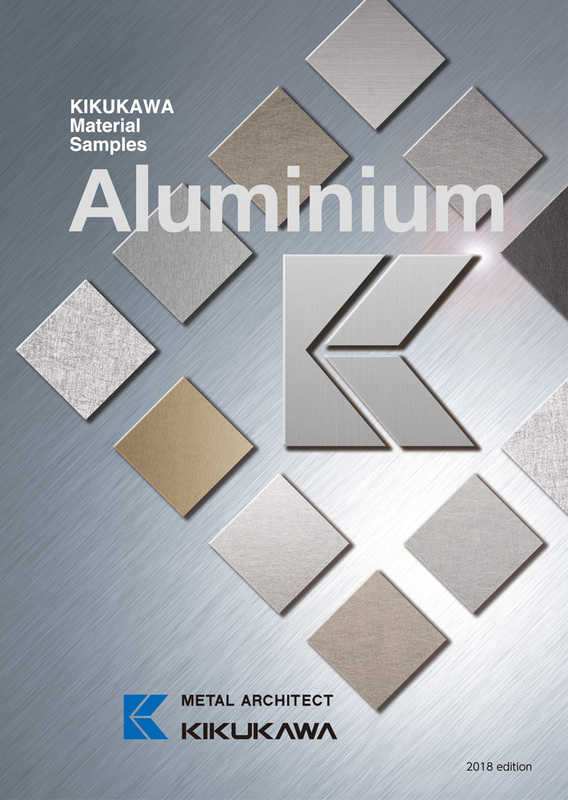 Introduces KIKUKAWA's bright dip anodized Aluminium exterior panels and features a comment from the designer, Kazuyo Sejima. The 2017 edition of KIKUKAWA's e-greetings page that features six key technology and projects. 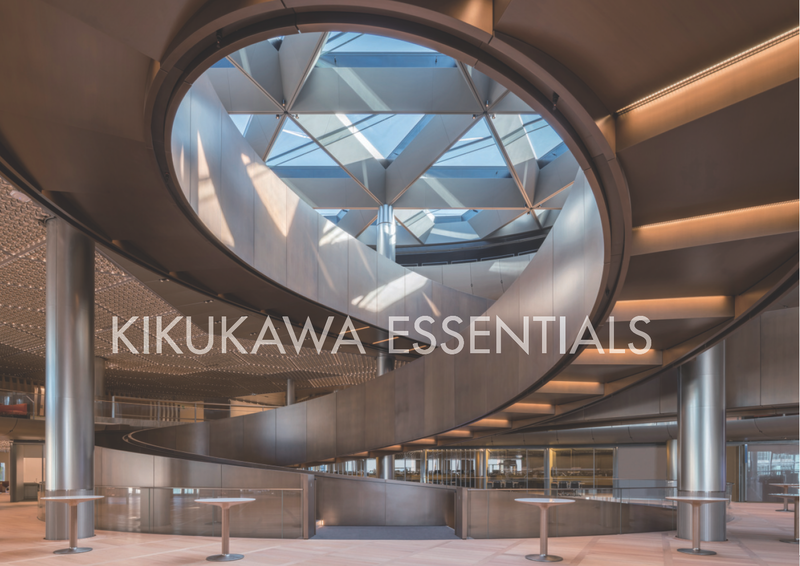 The 2018 edition of KIKUKAWA's greetings focuses on key projects from the year such as Bloomberg's new European Headquarters and Yakushiji Temple. 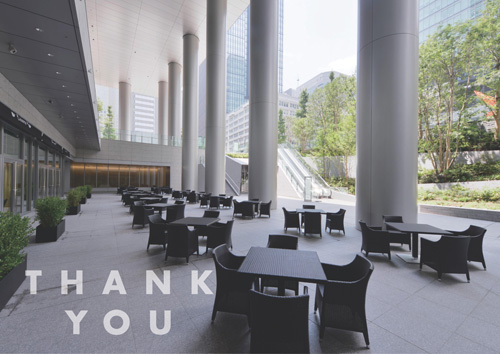 The 2019 edition of KIKUKAWA's greetings card features key projects from 2018, such as Avex Building and Tokyo Midtown Hibiya. 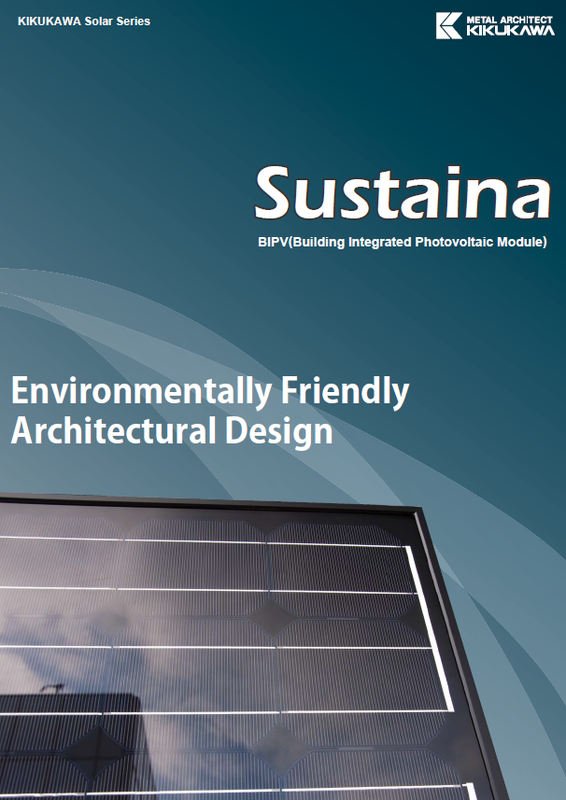 KIKUKAWA's Sustaina offers simplified and safer installation system for BIPV panels. The design of the installation system can accommodate many architectural designs and withstand earthquakes and powerful winds.